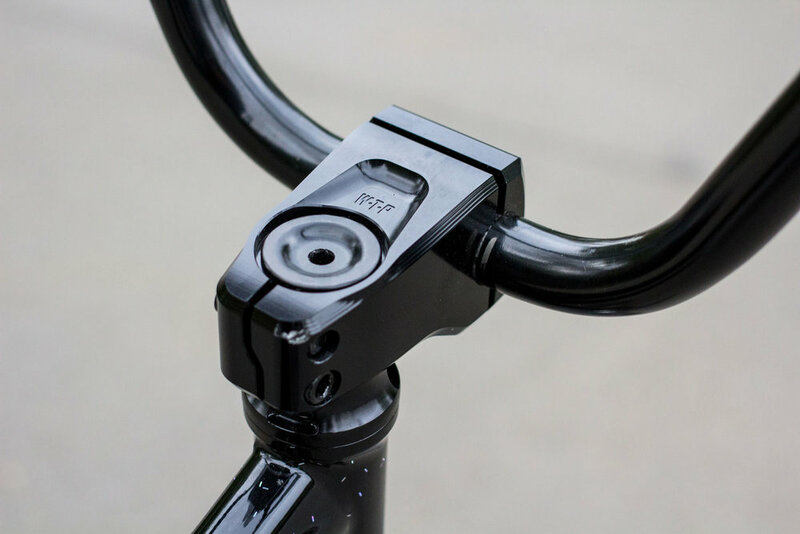 The INDEX Stem — WETHEPEOPLE BIKE CO.
We caught up with Wethepeople PRO rider Mo Nussbaumer who recently made the switch to our INDEX frontload stem. At 6ft 3, Mo's a tall guy, however due to the unique design and 16mm rise of the INDEX Stem, is able to enjoy the classic frontload look without having to run his bars too low. Mo seems to be really feeling how the INDEX stem both looks and feels on his bike, and we think you'll agree this thing looks good on there. 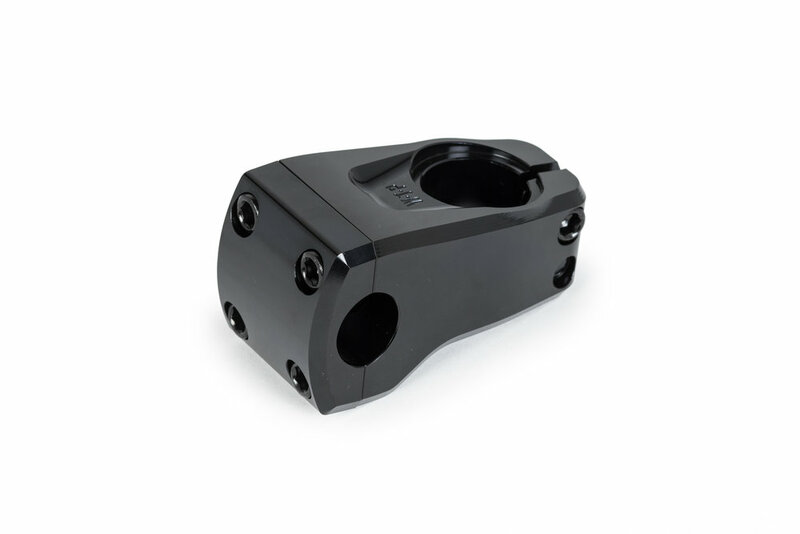 After a good few years as a topload kind of guy, you recently decided to mix things up and just threw on our new INDEX frontload stem. What made you want to change it up? I guess mainly I just wanted to change things up. 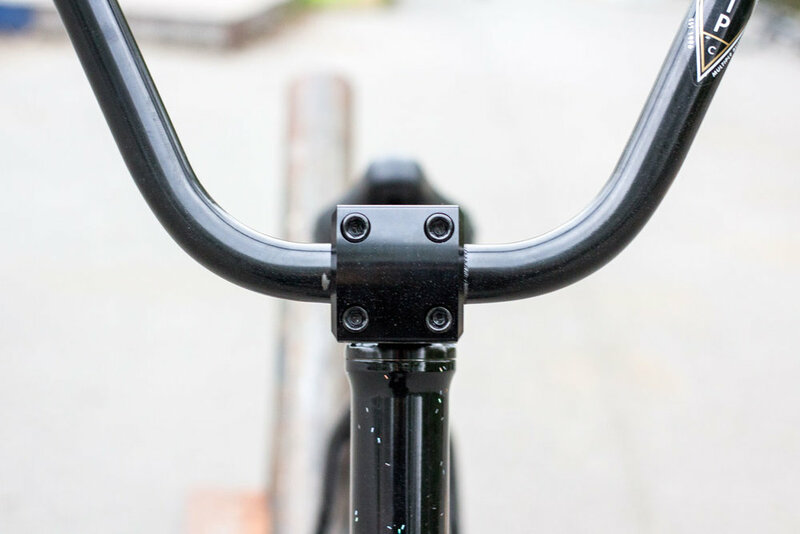 I've ridden the same kind of setup the past few years, always with a topload stem, and each time I got a new setup I'd get a taller rise stem, or more spacers and my bars got a little higher, bit by bit. I never really noticed, but in 2 years my bars were almost 2 Inches higher than they ever used to be, and I wanted to try and get my bars a little lower without going back to riding a smaller bar. 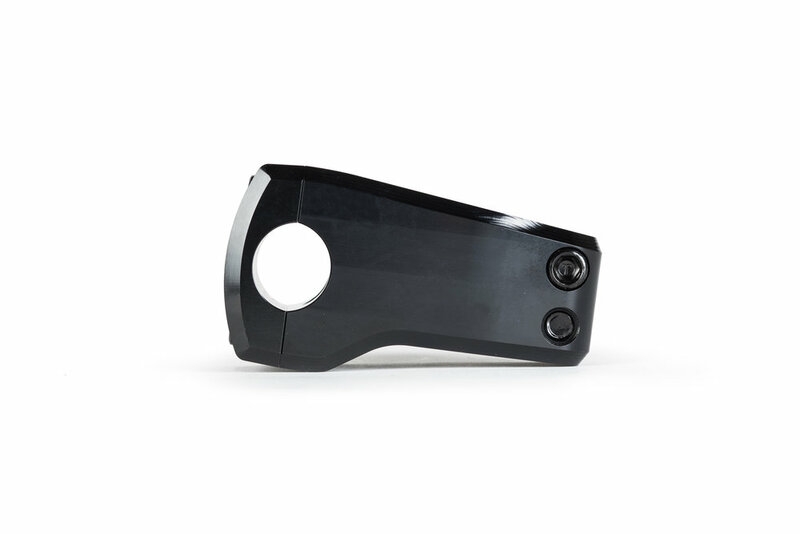 What do you like about the INDEX stem the most? 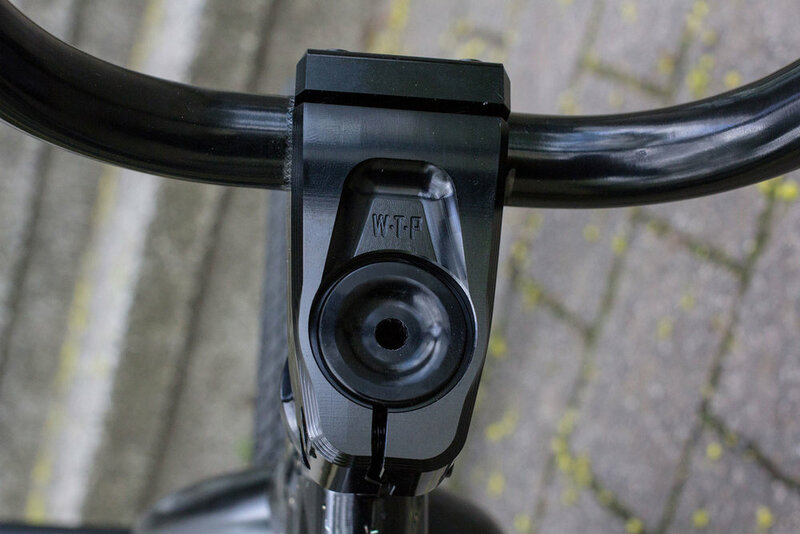 I've always liked the look of frontload stems. It's what I grew up riding for so long and they look so classic and simple, so it was awesome to go back to riding one without having to run my bars too low and hurt my back. I really like that the INDEX has more rise than a normal frontload, it almost feels like I'm riding a topload stem to be honest. 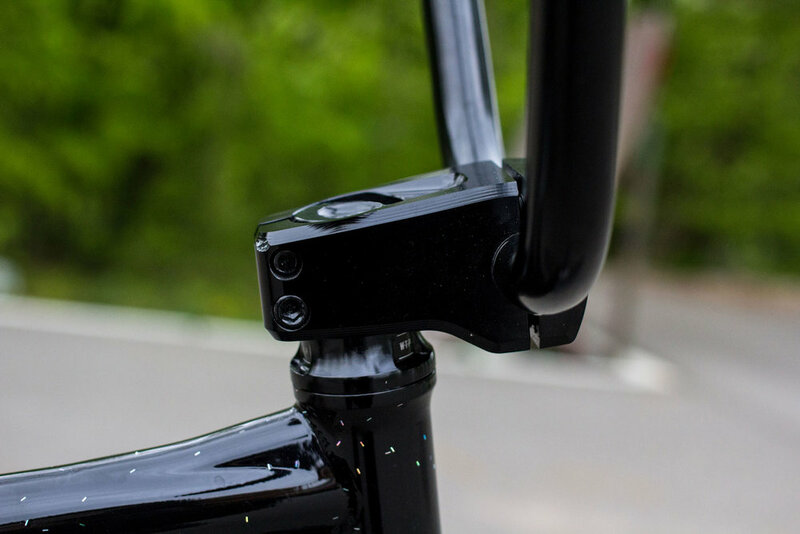 The stem is nice and strong looking, but has lots of cool lines and features which make it look super clean. 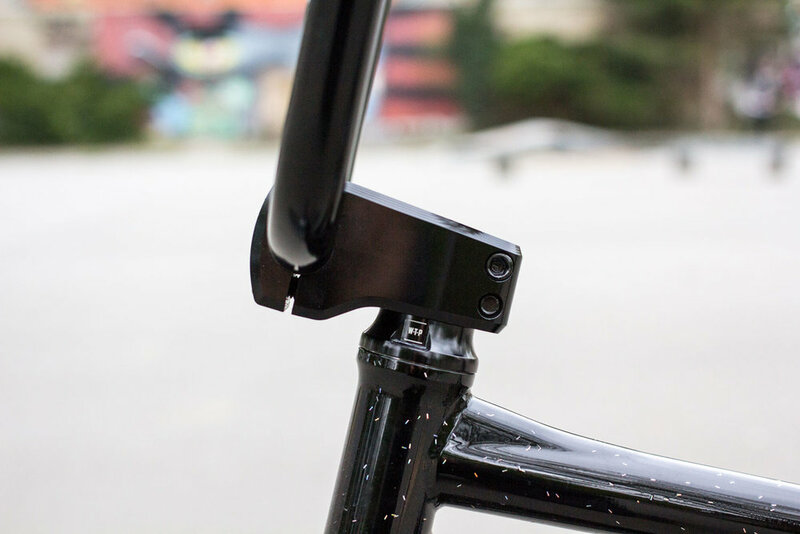 I also really like that the topcap sit sunken inside the stem, that makes the bike look really sick from the side. How's it feeling so far? Do you feel it's helped your riding? I know a lot of riders may not notice small changes like this, but for me, it's really improved the way my bike feels and certainly helps on certain tricks. It's a fine balance, but now I have my bars in the perfect position it totally helps my riding. I feel it gives me more pop with hops, and whips seem to be much easier to control since the bike is more under you. 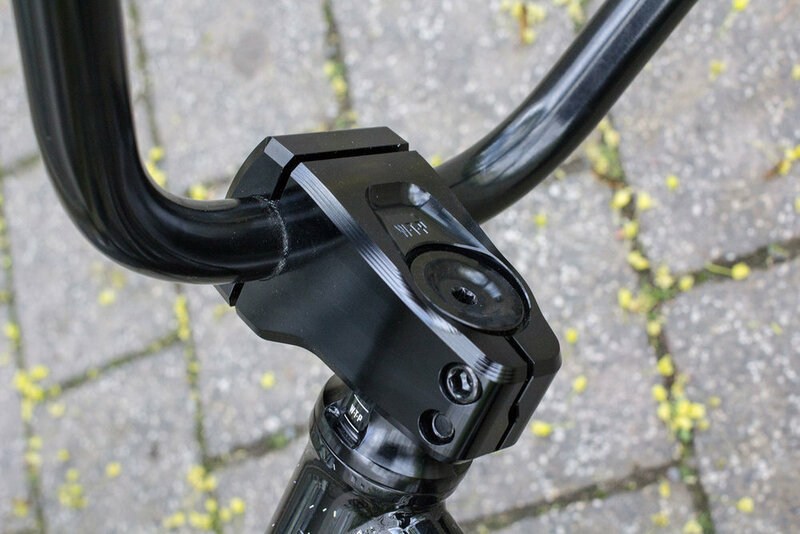 Despite most guys riding a toplad stem these days, do you think frontload stems are something that could become more popular again? I don't know. I hope so though. Everyone rides topload stems, these days, so a little vareity cant hurt. I also think with taller headtubes on frames and bars being much bigger now, you don't always need to run a crazy toplaod with lots of rise to put your bars in a good position. That's just my opinion though, I can't speak for everyone else.